Internet of Services applications need to cope with a continuously changing environment, both in terms of the context in which they operate, and of the services, users and providers involved. In this setting, adaptivity is to be considered an intrinsic characteristic of applications rather than an exception to be handled. 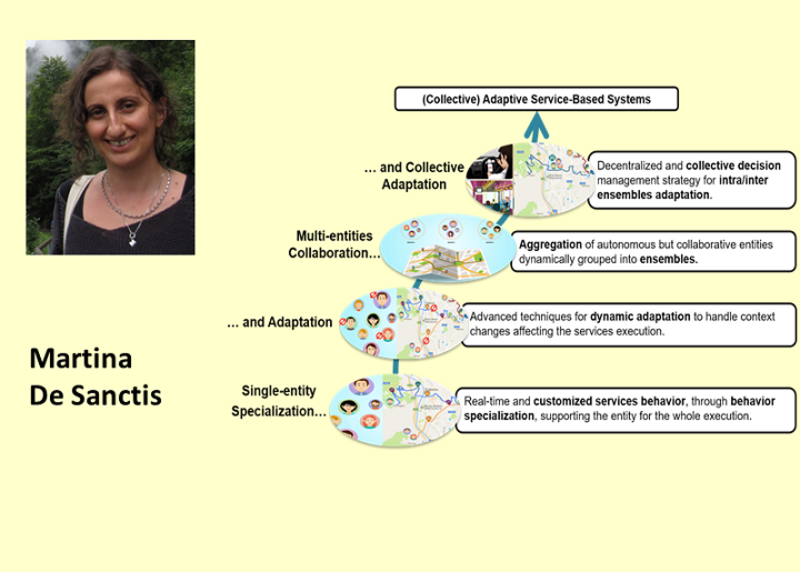 We propose a design for adaptation approach that exploits the advantages of the service-oriented paradigm supporting the development and operation of service-based applications operating in highly dynamic environments. The approach is based on dynamic and incremental service composition and re-configuration techniques and it has been evaluated in the Smart Cities domain. Finding vulnerabilities in Android apps becomes challenging when the vulnerability is a feature for certain apps. For example, it is normal for a “Fitness” app to share heart rate information through the Internet while it is suspicious for a “Travel” app which might be leaking sensitive information. In both confused deputy attack and information leak security problems, we need a context in order to classify the app as potentially vulnerable or even malicious. 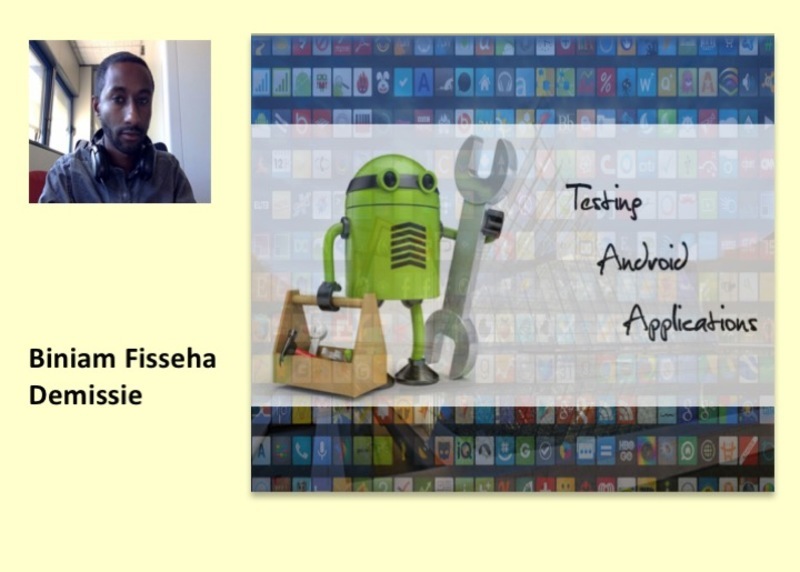 In this PhD work, we present our approach on how to automatically detect these security defects and propose an automated test oracle based on high quality apps from Google Play. We live in the days of social software where social interactions are supported by platforms such as Facebook and Twitter. Social software, to be successful, must be used by a sizeable portion of its intended user community. Such Acceptance Requirements are fulfilled by gamification, i.e. making a game out of software usage. My research proposes Agon: a framework for designing gamification solutions for acceptance requirements. 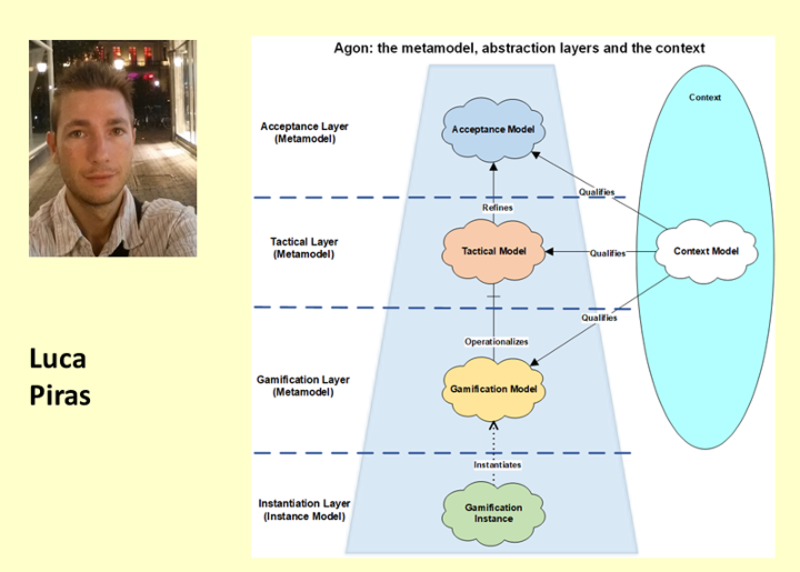 Agon consists of an acceptance goal model capturing refinements for acceptance requirements, and a gamification goal model capturing gamified operationalizations of acceptance requirements. Agon has been evaluated in the PACAS EU Project (http://www.pacasproject.eu). EU and national laws impose strict regulation on personal data. A massive quantity of data is processed everyday by socio-technical systems, whose need to comply with data regulation. 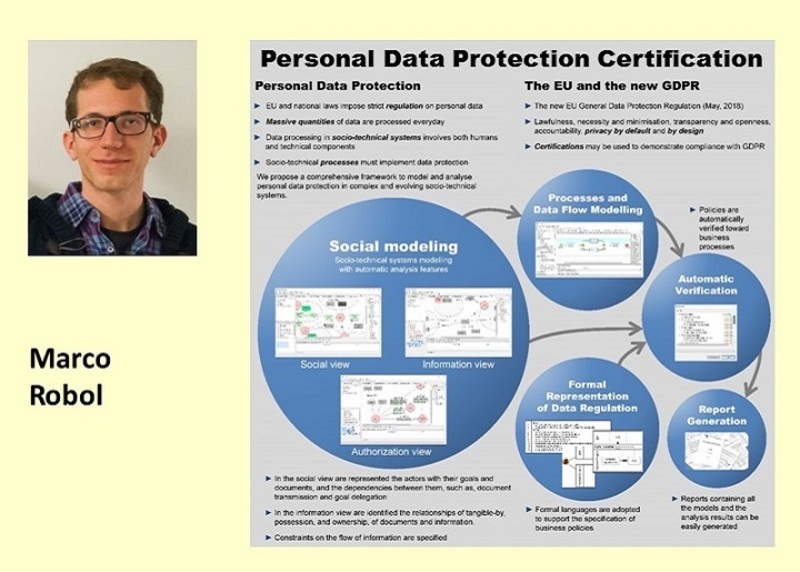 We propose a comprehensive framework to model and analyse personal data protection in complex and evolving socio-technical systems.